The flier for the Feb. 28 seminar in Torrington. A group of Northwest Connecticut professionals, including an attorney, a Realtor, a mortgage loan originator and an insurance broker, is presenting a free home buyers seminar Feb. 28 in Torrington. The seminar is scheduled for 6:30 p.m. at the Performance Hub, located at 45 Main St.
On hand to answer questions and address important issues will be Cramer & Anderson Partner Kent Mancini, a real estate attorney, Village Mortgage Company branch manager Marco Merati, Joseph Finke of Liberty Mutual Insurance and Realtor John Papp of Pam Famiglietti & Co., a division of William Raveis. What are the benefits of ownership vs. renting? How do I get the best homeowner’s insurance & coverage? Space is limited for the seminar and reservations are recommended, though not required. Reserve a spot by emailing Attorney Mancini at kmancini@crameranderson.com. Attorney Mancini, whose Practice Areas also include Land Use & Environmental Law and Personal Injury Law, can be reached at Cramer & Anderson’s New Milford office at (860) 355-2631. The firm also has offices in Litchfield, Kent and Washington Depot. 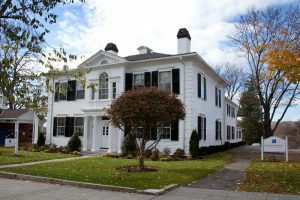 For more information, see the website at crameranderson.com or call the New Milford office.